Ahh yes, Summer is here... and the eternal question on everyone's mind... what are we doing this weekend? 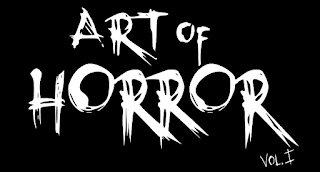 Glad you asked- we here at Ottawa Horror have some suggestions! First up, tonight at Cafe Dekuf, Patron Saint of Plagues, Dead Culture Society AND The Crypt Club rock the house starting at 8 p.m. Tomorrow night BrainHunter (the kind folks who brought us Zombiefest last year) and a Darker Day blow the roof off Avant Garde starting at 9 p.m. That's TWO wicked nights of Horror Rock and Roll! (cue Thunder and Lightning). And of course NEXT weekend, Fangoria, Ottawa Horror and The Mayfair present the Ottawa Premiere of "Father's Day" - You do not want to miss this. Stay Tuned...we'll be giving away some passes to this in the near future! Got some great photos from the show. Missed BrainHunter though :( they need to play again soon!